With its Open Science Conference, SOLAS offers the ideal programme for scientists who wish to learn and exchange about cutting edge research in the field and present their own findings. 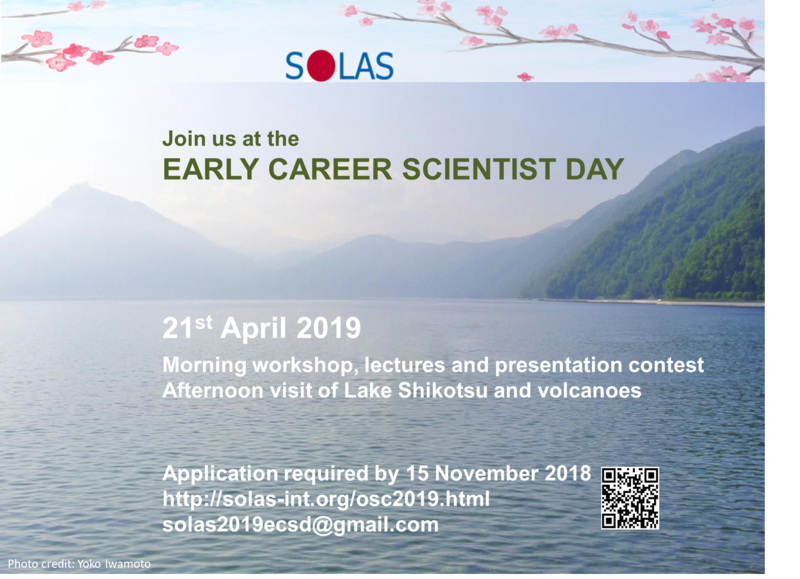 A special event dedicated to Early Career Scientists is being organised. To keep being up to date with SOLAS and the organisation of the conference, subscribe to our mailing list. Submissions are closed. Thank you! Registration is still open until 28 February 2019. The Early Career Scientist Day is an international event that brings together around 30 early career scientists and world-leading international scientists for a day of lectures and practical sessions. In addition we organise a tour to the beautiful Lake Shikotsu which is surrounded by volcanoes.